Enterprise users can now create various Pricing Programs for their company. These allow you to preconfigure pricing for each project. Various factors such as % above cost, % below MSRP, Profit Margin % can be used. You can optionally attach a program to clients, so that each new project for that client will populate pricing accordingly. Each project can sell be overriden globally or per item. 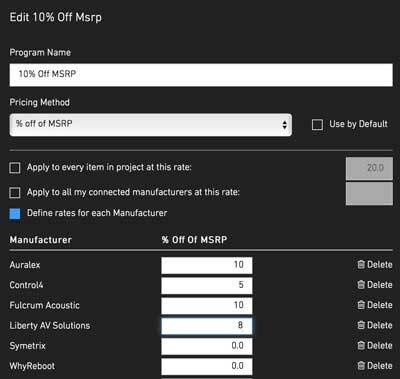 We increased the available pricing columns from 5 to 7 with the addition of MSRP price, and our new Combo Price. 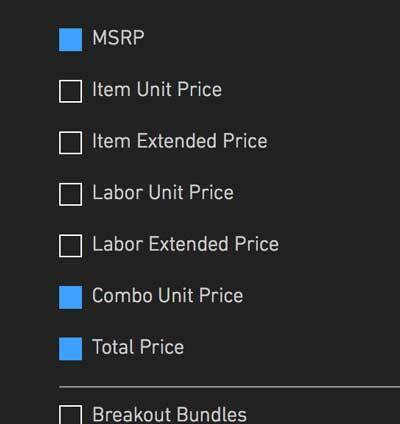 Combo price shows the unit price of the item and/or the labor attached to it in a single field. Many of you love the daily Morning Coffee emails as a quick way to keep tabs on what is happening in your company.